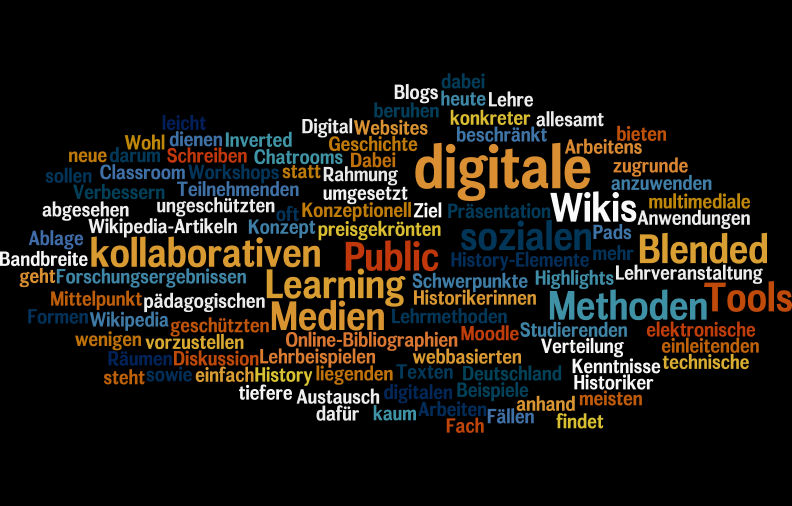 With the generous support of the Gerda Henkel Foundation, the German Historical Institute (GHI) and the Roy Rosenzweig Center for History and New Media at the George Mason University (RRCHNM) invite applications from postdoctoral scholars and advanced doctoral students based in Germany for a 12-month fellowship in digital history. The fellowship will provide a unique opportunity for the recipient to work on his or her research project at RRCHNM, where she/he will be in residence for one year. We welcome applications from scholars who are seeking seed-funding in order to develop a thrilling idea into a new project and/or funding proposal as well as from scholars who wish to pursue fully-fledged research projects. While at the Center, the fellow will also have the opportunity to consult with the Center’s faculty and staff in order to develop the skills needed for his or her project, join teams working on projects in development at RRCHNM, and to sit in on graduate digital history classes at GMU. Depending upon qualifications and visa status, the fellow could teach or co-teach undergraduate courses involving digital history. Starting at the beginning of the 2019 GMU fall semester, the successful applicant will be in residence at the RRCHNM and will also participate in GHI activities, events, and digital projects. Funding will be provided for a 12-month stay for postdoctoral scholars as well as advanced doctoral students, who are currently affiliated with a European research institution. The monthly stipend will be €3,400 for postdoctoral scholars or €2,000 for doctoral students. The fellow will also receive reimbursement for his or her round-trip economy airfare to the U.S. and a grant for travel to other North American institutions up to € 5,000. The deadline for applications is January 5, 2019. To apply, please send a cover letter, a CV, a copy of the certificate of your most recently earned degree, the names and contact details of two referees, and a research project proposal (5 pages or 2,000 words max.). 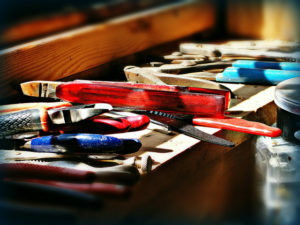 The proposal should outline a research question, the main sources to be used, and ideas about what digital tools and methods could be used to analyze those sources. We can accept applications in electronic form only. Please submit your documents as a single PDF file to: fellowships@ghi-dc.org. All candidates will be notified in February 2019 of the result of their application. For more information, please contact: Bryan Hart (hart@ghi-dc.org) at the GHI or Stephen Robertson (srober30@gmu.edu) at the RRCHNM. Full text of the call for applications is available on the GHI website. Seit Beginn der sogenannten digitalen Revolution im letzten Drittel des 20. Jh.s spielt die Vermittlung durch die Neuen Medien im Diskurs über den Einsatz von der EDV in den historischen Wissenschaften eine zentrale Rolle. Bereits zu Beginn der 1980er Jahre waren Stichworte wie „digitales Klassenzimmer“ oder „Computer aided Learning“ Themengeber für Tagungen und Sammelbände. Auch bei der ersten Jahrestagung der Gründung der „Arbeitsgemeinschaft Geschichte und EDV“ (AGE) vor 25 Jahren spielte die Vermittlung wissenschaftlicher Ergebnisse sowie der Einsatz der digitalen Werkzeuge im Unterricht eine zentrale Rolle. Doch ist es in den letzten Jahren etwas stiller um dieses Thema geworden. Die zuletzt im wissenschaftlichen Diskurs zentralen MOOCs (Massive Open Online Courses) sind zumindest im deutschsprachigen Raum, nicht zuletzt auch aufgrund der Insolvenzanmeldung (und der anschließenden Übernahme durch die Holtzbrinck Publishing Group) der „iversity“, ebenso in den Hintergrund getreten wie die Citizen Science. Es ist also an der Zeit, wieder einmal ein Resümee zu ziehen und nach der Funktion und Aufgabe der digitalen Medien in Wissenschaft und Unterricht zu fragen, weshalb sich die „Arbeitsgemeinschaft Geschichte und EDV“ in ihrer „Jubiläumstagung“ vom 22.-24.11.2018 diesem Thema widmen wird. Als Partner fungiert dieses Jahr das Seminar für Geschichte und Geschichtsdidaktik der Europa-Universität Flensburg, ein Institut, das gerade den Brückenschlag zwischen der Historischen Fachwissenschaft und der Geschichtsdidaktik anstrebt und mit Krešimir Matijević einen langjährigen Kenner der Historischen Fachinformatik in seinen Reihen hat. 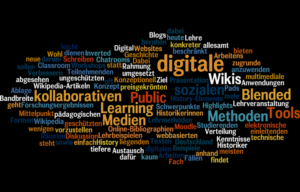 With the generous support of the Gerda Henkel Foundation, the German Historical Institute (GHI) and the Roy Rosenzweig Center for History and New Media at the George Mason University (RRCHNM) invite applications from postdoctoral scholars and advanced doctoral students for a 12-month fellowship in digital history. Im Rahmen des diesjährigen Historikertages in Hamburg wurde die vom Institut für die Geschichte der deutschen Juden (IGdJ) betreute Online-Quellenedition „Hamburger Schlüsseldokumente zur deutsch-jüdischen Geschichte“ online geschaltet. Die Online-Quellenedition, die von der DFG gefördert wird, wirft am Beispiel von ausgewählten Quellen, sogenannten Schlüsseldokumenten, thematische Schlaglichter auf zentrale Aspekte der jüdischen Geschichte Hamburgs von der frühen Neuzeit bis in die Gegenwart. Hamburg wird dabei als Brennglas für größere Entwicklungen und Fragestellungen der deutsch-jüdischen Geschichte verstanden. With the generous support of the Gerda Henkel Foundation, the German Historical Institute (GHI) and the Roy Rosenzweig Center for History and New Media at the George Mason University (RRCHNM) invite applications for a 12-month postdoctoral fellowship in digital history. Over the last few years there has been a stunning growth of new and exciting digital tools and methods that have the potential to augment and revolutionize traditional historical research. Scholars increasingly need to develop their own familiarly and facility with these new digital tools and approaches. As a means to build out that capacity, this fellowship is intended to equally support junior scholars working in the field of digital history as well as for scholars who are perhaps new to digital history but are interested in developing new skills and methods that could aid their research. The fellowship will provide a unique opportunity for the recipient to develop an innovative research project at RRCHNM, where she/he will be in residence for one year. One of the Center’s Associate Directors will work with the fellow to develop a project further and help her/him develop the skills needed for that project. The fellow will also have the opportunity to join teams working on projects in development at RRCHNM as well as to sit in on graduate digital history classes at GMU. 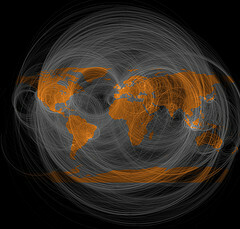 Depending upon qualifications and visa status, the fellow might teach or co-teach undergraduate courses involving digital history. The fellow is also expected to cooperate with the GHI on a regular basis. She/he will participate in the Institute’s scholarly activities and its digital projects. Moreover, the fellow will have the opportunity to get in contact with other North American Centers for Digital History or Digital Humanities. The Max Weber Foundation – International Humanities will invite the fellow to organize a workshop on new perspectives in the field of Digital History after completing the fellowship. A member institution of the Max Weber Foundation – International Humanities, the German Historical Institute Washington is a distinguished non-university affiliated historical research institute that conducts inter- and transdisciplinary research with a transatlantic focus. Its fellowship program promotes cutting-edge research in history and related disciplines and the international exchange of scholars. The GHI seeks to foster inter- and transdisciplinary cooperation and contributes to the advancement of digital history and digital humanities. 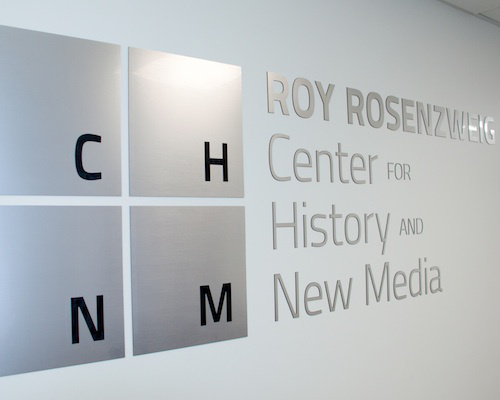 Founded in 1994, the Roy Rosenzweig Center for History and New Media at George Mason University is an internationally recognized leader in using digital media and computer technology to preserve and present the past; transform scholarship across the humanities; advance history education and historical understanding; and encourage popular participation in creating history. The Center collaborates with teachers, museums, libraries and archives, and university researchers, and trains graduate students though research assistantships and required courses. Starting at the beginning of the 2017 GMU fall semester, the successful applicant will be in residence at the RRCHNM and will also participate in GHI activities, events, and digital projects. The fellow will be expected to plan and convene a joint conference or workshop at the end or shortly after the fellowship, which will be funded by the Max Weber Foundation. Funding will be provided for a 12-month stay for postdoctoral scholars, who are currently affiliated with a German research institution. The monthly stipend will be € 3,000. The fellow will also receive reimbursement for his or her round-trip economy airfare to the US and a grant for travel to other North American institutions up to € 5,000. The deadline for applications has been extended to December 1, 2016 January 31, 2017. To apply, please send a cover letter, a CV, a copy of the certificate of your most recently earned degree, the names and contact details of two referees, and a research project proposal (5 pages or 2,000 words max.). 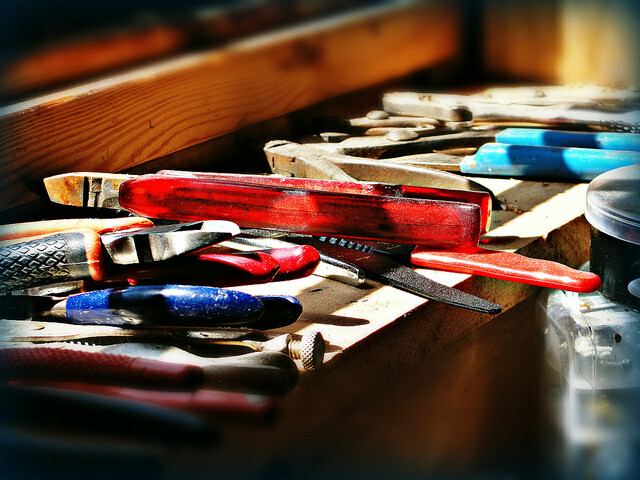 The proposal should outline a research question, the main sources to be used, and ideas about what digital tools and methods could be used to analyze those sources. We can accept applications in electronic form only. Please submit your documents as a single PDF file to: fellowships@ghi-dc.org. All candidates will be notified in late February 2017 of the result of their application. For more information, please contact: Bryan Hart at the GHI or Stephen Robertson at the RRCHNM.